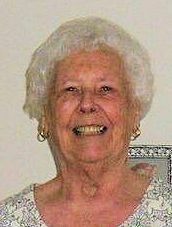 O'CONNOR, Jean M. (Cleary), of Braintree, formerly of Malden, passed away peacefully, surrounded by her loving family at home, on March 30, 2019, at the age of 85. Born in Stoneham, Jean was raised and educated in Malden. She worked as an administrator for the Citgo Company for many years and Haemonetics of Braintree. Jean was a member of the Mother of Twins Association. She enjoyed spending time with family and going on vacations, with her children, grandchildren and great-grandchildren. Jean was a loving and caring woman who will be sorely missed by all who were blessed to have known her. Wife of the late Alfred J. O’Connor. Loving mother of Stephen O’Connor and his wife Mary of Norton, Gerald O’Connor and his wife Maureen of Braintree, Alfred L. O’Connor and his wife Judith of FL, Joseph O’Connor and his wife Bernadette of Hanover, Jean Ancheta and her husband David of TX, Joan O’Connor and her husband Steven Dawson of RI, Noreen Geran and her husband Edward of Braintree and Mary Ellen O’Connor of Braintree. Daughter of the late Hugh and Ellen (Crowley) Cleary. Sister of the late Hugh Cleary, Eleanor Reid, Edward Cleary, Gertrude Cleary, Robert Cleary and Mary Cleary. Devoted grandmother of 20 grandchildren and 11 greatgrandchildren. Also survived by many nieces and nephews. Relatives and friends are respectfully invited to attend visiting hours on Tuesday, April 2nd, from 4:00 – 8:00 PM in the Cartwright-Venuti Funeral Home, 845 Washington St., Braintree. A Funeral Mass will be celebrated on Wednesday, April 3rd, at 10:00 AM in St. Clare Church, 1244 Liberty St., Braintree. Burial will follow in Blue Hill Cemetery, Braintree. Should friends desire, memorial contributions may be made in her name to Hospice of the South Shore, 30 Reservoir Park Dr., Rockland, MA 02370.